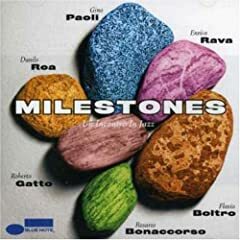 Milestones – Un Incontro in Jazz has some American standards and some oldies from Gino Paoli all done in a jazz style. Probably not the best introduction CD for someone looking to understand Italian music but I like it. I don’t know much about the artists playing other than Paoli. We bought it because we heard it playing in our morning coffee shop and we usually like the music they play.